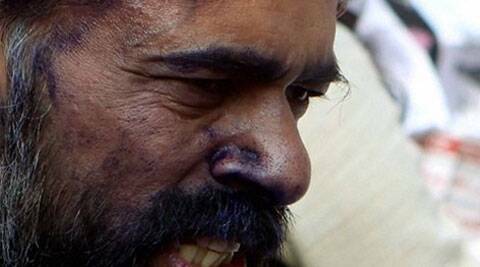 AAP leader Yogendra Yadav's face was smeared with ink by a 28-year-old Sagar Bhandari. He has been identified as 28-year-old Sagar Bhandari, a resident of Shalimar Bagh. After the incident, Bhandari was thrashed by AAP volunteers following which he was taken away by police to Parliament Street police station. Later, Bhandari was taken by police to Ram Manohar Lohia Hospital as required in a medico-legal case. He claims to be a disgruntled AAP worker. “I do not know who this person is. I was talking to media when I was attacked. This time they have attacked us from behind. Next time they will attack us from the front,” Yadav told reporters after the incident.